Description : Another elegant billfold made from Italian Tampono. 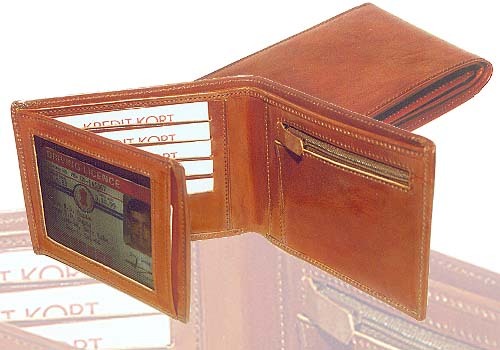 As you open the wallet the mesh displays your driving license and the zipped coin pocket. Behind the mesh flap is space for 9 card slots and a separate pocket. Two note compartments for keeping currency notes.